Staying fit is a lifelong commitment to eating healthy and being active. 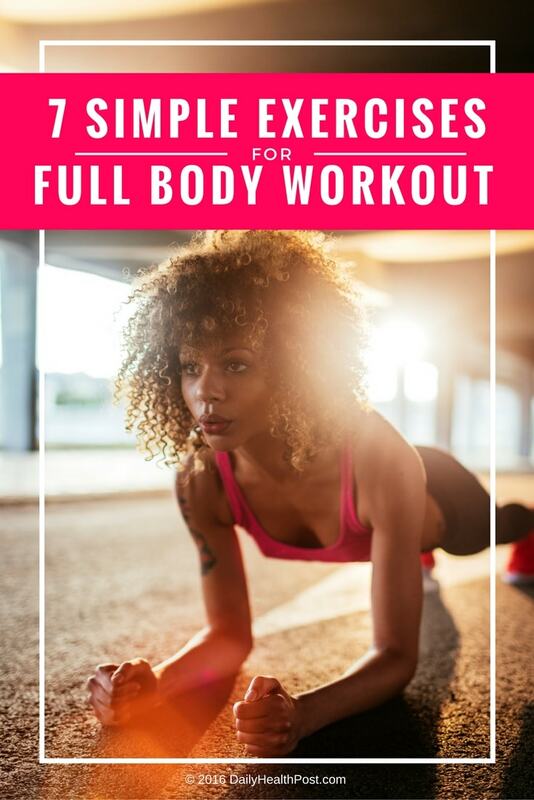 When you have a busy lifestyle, nothing is more beneficial than a full body workout routine. This allows you to stay consistent in your endeavors and make the most of your time in the gym. Better yet, some routines simply rely on body-weight exercises and target every muscle for maximum results. You don’t even have to step foot in the gym! Repeat these 7 exercises over the course of a month to tone your whole body and strengthen your muscles. We’ll break down the full routine below, but first, it’s important to know how to do each exercise properly. Start with your belly to the ground, keeping your feet at hip’s width apart and your palms beside your chest at shoulder’s width apart. This starting position should resemble a push-up position. Lift yourself up, placing your weight on your toes and lower your arms one at a time so that your forearms are touching the ground. Your weight should be distributed equally on your toes and forearms. Keep your back straight with your head facing the ground, tightening your core and buttocks. Make sure to keep your hips in line with your back and legs. Start in a plank position, with your hands slightly more than shoulder-width apart and the toes braced against the floor. Your core muscles should be tight so that your back and hips are totally flat. Inhale, look straight ahead and start to lower your body down. Keep your shoulders back and your elbows tucked in as you do so. Make sure not to let your back arch! As you exhale, push yourself back up, maintaining the same body position.